Luch 5V is the third and final satellite comprising the third generation of Luch Data Relay Network Satellites. The Luch system is the Russian equivalent to NASA’s Tracking and Data Relay Satellite System TDRSS, consisting of spacecraft in Geosynchronous Orbit to relay communications to and from spacecraft in lower orbits including the Russian Segment of the International Space Station. Although the Luch program saw its first launch in 1985, the satellite constellation never achieved a full operational capability until plans for the third generation of satellites were firmed up in 2005. Four first generation Luch satellites, also known as Altair, were launched from 1985 to 1994 with each satellite expected to operate for three years. A single second generation satellite was launched aboard a Proton-K rocket on October 11, 1995 and became known as Gelios satellite operating until 1998. With the Russian economy in a decline and the Mir Space Station approaching its end, no follow-on project was developed in the 1990s and it took until 2005 when the Luch project was revived. 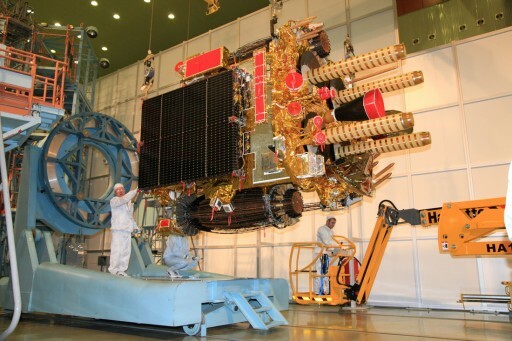 Developing an operational concept, the Russian Space Agency awarded ISS Reshetnev (formerly NPO PM) a contract for two high-performance communication satellites in 2005 known as Luch-5A and 5B for launches in 2010 and 2011. In 2008, a third satellite, Luch 4, was ordered for 2013 to be based on a larger satellite platform to create a high-capacity spacecraft to cover the Pacific Region to relay data from rocket launches to the East from the Baikonur Cosmodrome and the Vostochny Cosmodrome that is currently under construction. Eventually, Luch-5A slipped into 2011 and 5B was pushed to 2012 while the Luch 4 satellite was replaced by another Launch-5-class spacecraft. 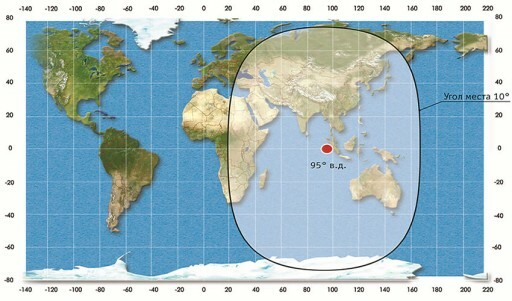 This replacement, Luch-5V, would allow the constellation to achieve global coverage. The satellite is based on the Ekspress-1000A satellite platform built by ISS Reshetnev for medium-capacity Geostationary Communication Satellites. Luch 5V weighs 1,148 Kilograms and is 6.3 by 19.4 by 11.7 meters in size when fully deployed in orbit. The spacecraft uses two three-segment solar arrays featuring Gallium-Arsenide solar cells for a total end-of-life power of 2,200 Watts. Luch 5V utilizes an electric propulsion system for orbital adjustments and stationkeeping in Geosynchronous Orbit. The electrical propulsion system features SPT-100 plasma thrusters that are used for orbit maintenance and attitude control maneuvers. The Stationary Plasma Thrusters provide 83 Millinewtons of thrust each. Luch 5V is three-axis stabilized with a pointing accuracy of 0.1 degrees in pitch and roll and 0.2 degrees in yaw. The spacecraft is equipped with eight active transponders operating in S- and Ku-Band. Two large antennas are installed on deployable booms – one is dedicated to the Ku-Band system while the other operates in S-Band. The two antennas can be independently steered to track low-orbiting spacecraft and provide communication relay to and from ground stations. Overall, the spacecraft achieves data rates of up to 150Mbit/s in Ku-Band and 5Mbit/s in S-Band. The satellite also carries equipment to receive emergency signals from P-Band Cospas-Sarsat distress beacons and relay them to the ground. In addition, the satellite is carrying the SDKM space terminal to augment and correct the navigation signals of the Glonass satellite fleet using L-Band. Luch 5V will operate from 95 degrees East in Geosynchronous Orbit for a mission of at least ten years. The Luch infrastructure will be undergoing testing until 2015 before entering regular service, relaying communications from low-orbiting spacecraft including the Russian Segment of the International Space Station via the Regul and Altair communications terminals that are yet to be established on the exterior of ISS. 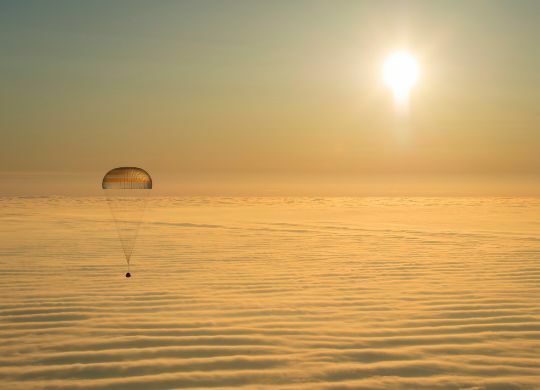 Luch will also relay data from weather satellites, remote sensing spacecraft and launch vehicles during critical ascent phases out of view of Russian ground stations.